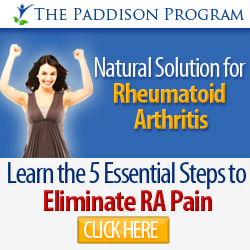 Hi there, thanks for requesting for the download of your copy of “The Rheumatoid Arthritis Holistic Healing Report”. It is being processed now and will be sent to your email inbox momentarily. In the event that you don’t see it in your inbox, please kindly check the “spam” or “bulk” folder for it, as sometimes emails do wrongly get sent into those folders.